When is the last time you’ve heard from God? It’s hard to hear Him with all of the noise around us, but I believe that God still speaks today. Maybe we’re afraid to hear what He has to say and we’d rather tune Him out. Maybe we think He’s mad at us; that He’s going to lecture us about all the things we’ve done wrong. Or maybe we think He’s going to tell us to become a missionary in Africa. Or He’ll tell us to forgive someone we could never, ever forgive. So we crank up the radio, turn on the TV, check our Facebook status, go shopping, volunteer at church, anything to stay distracted and busy, busy, busy. God speaks when I read the Bible. Not every time. Sometimes I’m just reading words, but other times the Word truly is living and active, penetrating, dividing soul and spirit (Hebrews 4:13). Those times are well worth waiting for. Energizing, exhilarating, mysterious, thrilling to the core. If we’re going to recognize someone’s voice, we need to get to know them. What better way to get to know God than to read the love letter He wrote to us? The writer of the book of Hebrews tells us that Jesus is the exact representation of God’s being (Hebrews 1:3), so if we want to know God, we need to get to know Jesus. The best way I’ve found to get to know Jesus is by reading the gospels, which are the first 4 books of the New Testament: Matthew, Mark, Luke and John. You can start with just one, you can read them all start to finish, or you can read one over and over until it feels like an old friend (thanks to Dan Kopp for that great suggestion). John is a great book to start with, as John goes into great detail about who Jesus is and why he came. But if you love a good action movie, start with the book of Mark. You won’t be disappointed. I’ve heard God speak through circumstances in my life over and over again, and I love to write about those times. If hearing how God has spoken to me helps you recognize His voice in your life, then I have done my job. When I categorize a post under “miracles”, it’s probably a story of how God spoke through a particular circumstance. This is one of my favorites, about how I knew I couldn’t giving up on having another child: Fresh Eyes. I love to hear from God through music. Sometimes it’s through the words of the song, like MercyMe’s Greater. Other times it’s the music itself that makes my soul fly. I fell in love with Switchfoot’s Fading West album after watching their documentary of the same name twice within 48 hours in late August. I bought the album a few days later and couldn’t get enough of it. Even though I didn’t see Swtichfoot in concert, DTE Energy Music Theater chose to play that album in between every set on Saturday night, September 13th. All night long, in between Ellie Holcomb, Colton Dixon, MercyMe and Third Day, Switchfoot’s Fading West album played over the loudspeakers while the stage was being set for the next act. As each song came on, my heart was being romanced by the God of the universe. He chose the perfect background music for the mood He was creating between the two of us. You can read more about that evening here: Redeemed – Part 1. Sometimes it takes “getting away from it all” to really hear His voice clearly. 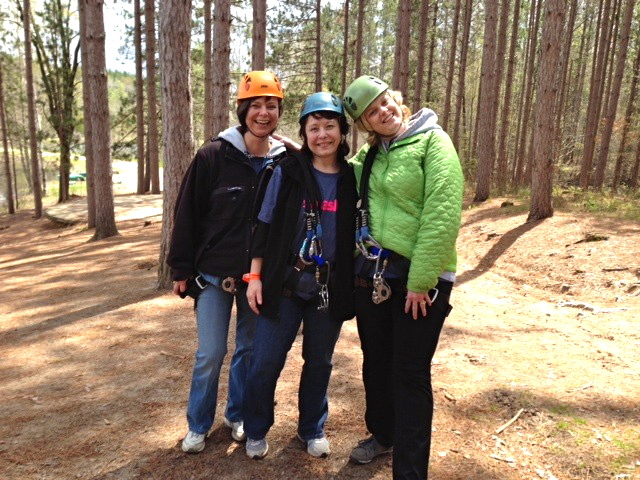 Please join us at the SMASH Women’s Retreat at SpringHill Camp May 15-17, 2015. Registration opens March 27th – click here: Events. You won’t want to miss it! And if you’re not female, Kensington puts on a retreat just for you each Fall. Check the same link in Summer 2015 for the “Man Up” retreat, which is normally held at SpringHill Camp each October.